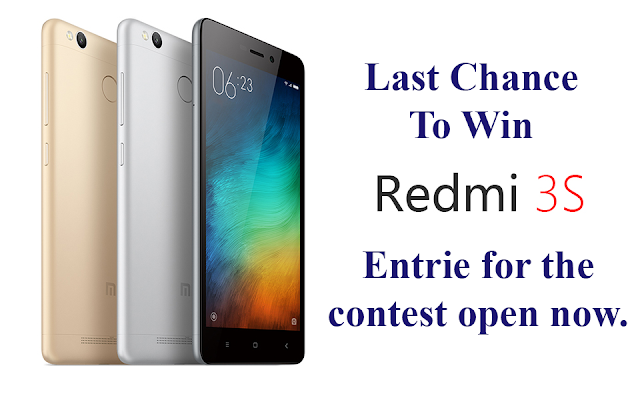 7:30 PM Win Redmi 3S Prime, Win Smart Phone. ENTER FOR THE QUIZ TODAY TO WIN Redmi 3S Prime. Complete all the 6 levels of the contest and win Redmi 3S Prime. Like EHC & Secret to Success on Facebook. Register For the contest below and complete all the 5 levels of the quiz to get 60% and win Redmi 3S Prime. General Knowledge Based on India.